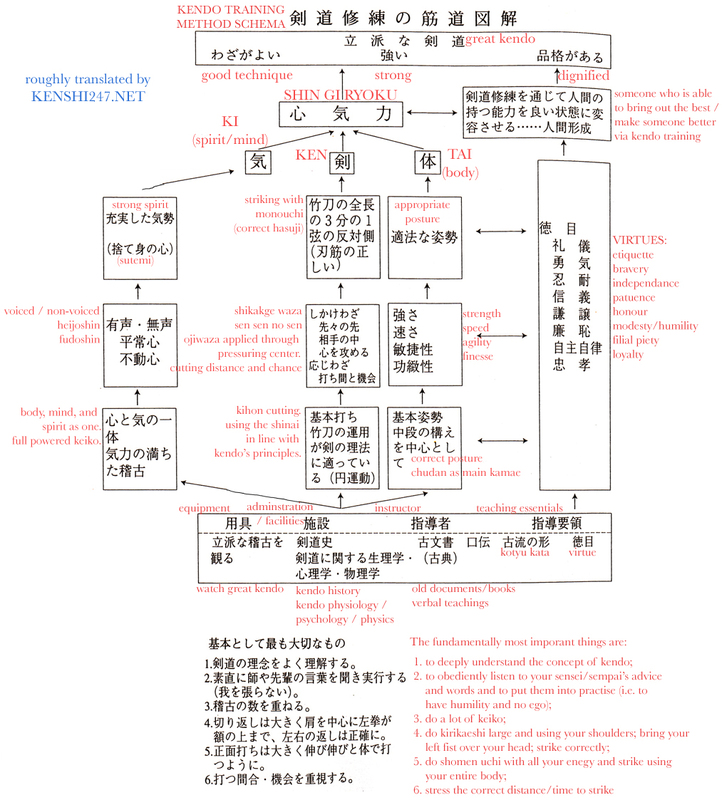 As a followup on the article on the Transition of Kendo, I present another of Takizawa Kozo hanshi’s charts. This is different from the one before and works from the bottom-up and shows you what you need to do to in order to acquire great kendo. Again, I offer no explanation, simply a translation. Please click on the chart to see the full version. It’s interesting to see how at the fundamental level it is stressed that one should learn about kendo history and that one should read original materials. So far, in the few months I’ve trained at my dojo, we’ve never received such instruction. We always focus on kata, kihon and keiko. Well, the fundamental level of kendo probably lasts at least a good 20 years, so you still have plenty of time to get that study in! btw, I had a look at your blog – I hope to see you in Yoseikai when you are in Osaka.